It is a start to a new week! And time for a refreshing drink made with Perfect from Natural Choice Beverages and green tea… sparkling green tea. Disclaimer: I have been compensated for this post by Natural Choice Beverages, but as always this post reflects my thoughts and opinions. Natural Choice Beverages offers a healthy line of gluten-free herbal supplement drinks. I know that I have mentioned that one of my New Year’s resolutions was to become a healthier me, by eating better, exercising, and drinking healthier drinks. I love drinking green tea; I love to have one in the morning. Especially during the work week, I like to sip on it as I do my work. 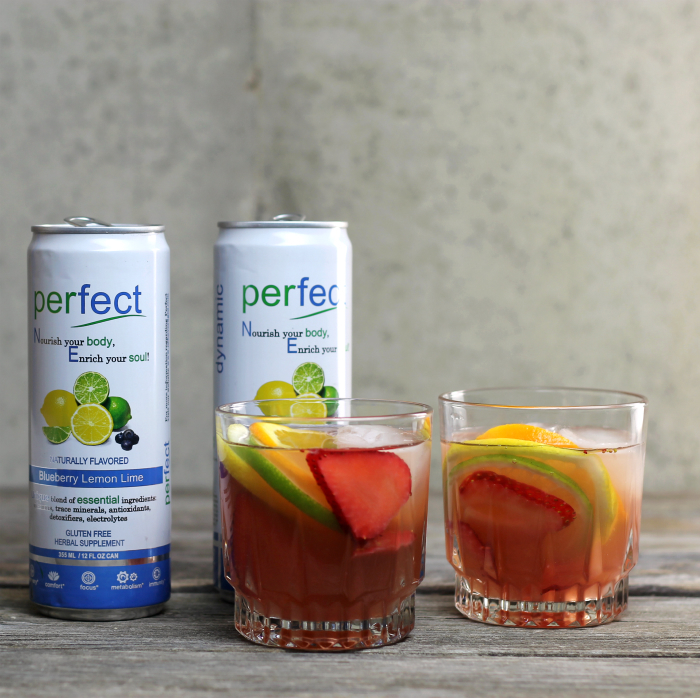 So when I was approached by the Natural Choice Beverages to come up with a recipe using Perfect, my first thought was combining these two healthy drinks together for one awesome drink. And to make it even better I added some citrus and strawberries with a touch of honey. To tell the truth when making a new recipe for a sponsored post I get a touch nervous. Yeah, I guess it’s just something with my personality. Things like this I like to take really seriously and do the best I can. So I put a lot of thought into these posts, well I should say I try to do that to all of my posts. Well, I wanted to make sure that I was going in the right direction with this drink, so I made a pitcher of it and took it to my mom’s house. Yeah, I have mentioned that my mom’s house is a gathering place for my siblings, nieces, nephews and however else is around on Sunday evening. So I knew that I would have plenty of taste testers for my recipe. The sparkling green tea was a hit. I noticed that family members were going back for seconds, which is a sure sign for me that I had a winner. I live in a house where sweet sodas and sugary drinks were the norms, even growing up as a kid we enjoyed are sugary soda drinks. But in the last couple of years we are turning to healthy drinks such as green teas, water, and now we will be adding Perfect from the Natural Beverage Company onto this list of drinks that are a good alternative to unhealthy sugary drinks such as soda. Steep 2 bags of green tea in 3 cups of boiling water for 15 minutes. After the 15 minutes remove the bags and cool tea completely. Slice the lemon, lime, orange, and strawberries. Add the strawberries to a small bowl and add the honey, stir until completely combined. Once the tea is completely cooled add half or a bit more of the fruit to a pitcher, pour in the 2 cans of Perfect and 3 cups of tea. Add a few cubes of ice and stir. 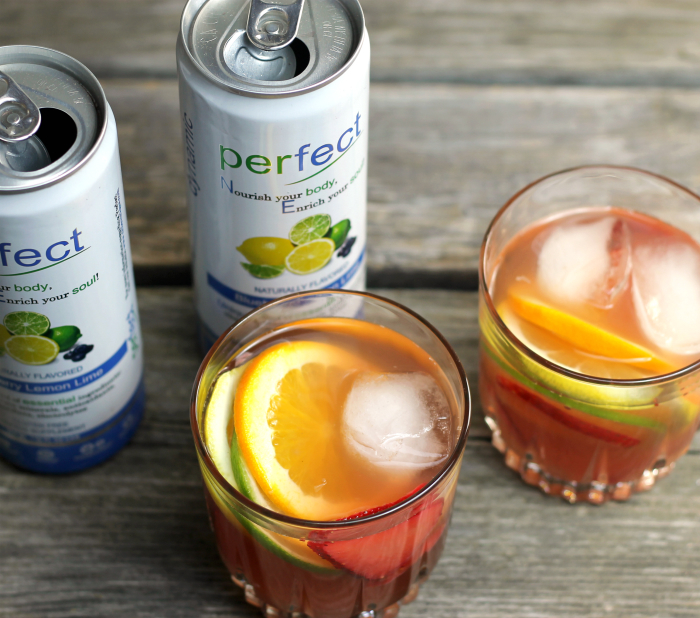 Perfect is a lightly carbonated drink that contains a unique blend of essential ingredients-vitamins, trace minerals, antioxidants, detoxifiers, and electrolytes. With only 80 calories Perfect offers a great tasting drink for people that are looking for a healthier path in life. You can find out more about Natural Choice Beverages at their site Natural Choice Beverages. You can also like them on Facebook and Twitter. I’m not familiar with Perfect, but it sounds quite tasty. And I love how you added green tea in there…but a fun combination! The fruit is the perfect touch. I can see why everyone kept going back for more! It sounds like a perfectly refreshing drink! I love how you jazzed up green tea! The fruit is a marvelous addition! I love green tea. This looks so refreshing and beautiful! I’ve never heard of Perfect, but I can’t wait to try it, and your recipe. “Perfect” is very new to me… You tea looks so refreshing…..
Hi Dawn, you really made this drink special. I ws told by my doctor that I drink too much water and in the process deleting my salt. Looking for new “beverages”, love this. Green tea is good stuff. This recipe looks, well, perfect. 🙂 Really good — thanks. Your sparkling green tea looks so delicious & refreshing! 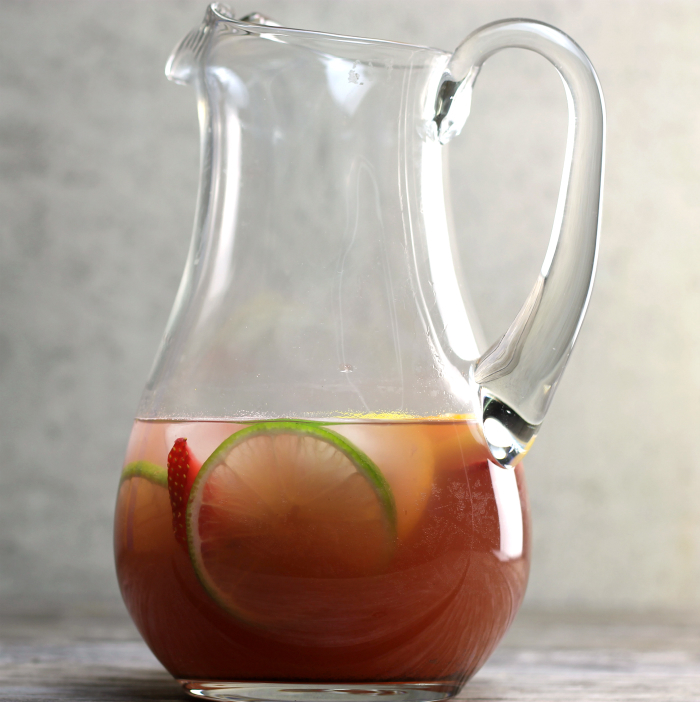 I want to reach in my screen and grab that pitcher – yum! 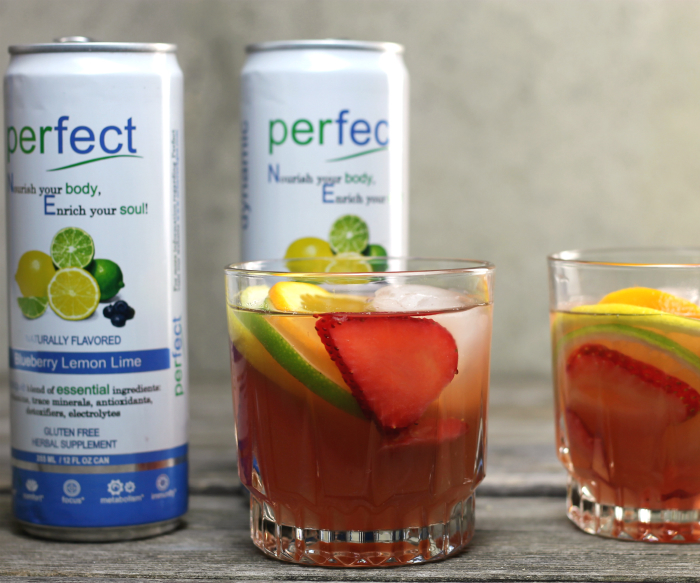 I’ve never heard of Perfect – blueberry lemon lime sounds right up my alley – I’ll have to keep an eye out for it. Not for me, but I LOVE your pictures. Well done, very pretty.